Since its founding during the Eisenhower presidency, DARPA has been the rightful recipient of scorn and praise for investing in and developing military technologies as varied as Agent Orange and the ARPAnet, a precursor to today’s internet. And while much of the agency’s key contributions to science and national security have been well documented in books such as "The Pentagon’s Brain," "The Imagineers of War," and "The Department of Mad Scientists," myths about DARPA’s work still abound on social media and in the mainstream press. In this talk, you will hear from Jared Adams, DARPA’s chief of communications, about some of the popular and humorous myths regarding the agency’s research, including how it controls the world’s weather, is building AI-equipped super soldiers, and is actively managing Facebook to read people’s thoughts. Also, Adams will discuss the importance of transparency in government public affairs and how, when dealing with contentious areas of scientific research, the best tack is often to be open, honest, and direct. 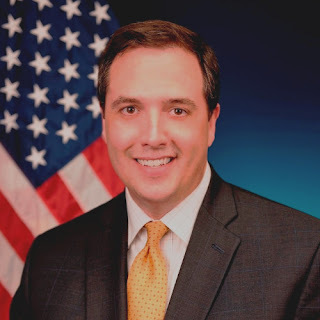 Jared Adams joined the DARPA Public Affairs Office in 2014, first serving as the agency’s press secretary for three years before becoming the chief of communications in July 2017. Prior to DARPA, Adams served in senior public affairs positions in the Washington, D.C. area with Harris, SAIC, and Raytheon. In addition to his in-house communications experience, Adams has provided public relations counsel to several high-profile organizations, including Dell, Microsoft, Verizon, U. S. Air Force Nuclear Weapons Center, U.S. Defense Threat Reduction Agency, and U.S. Northern Command.